Cashback websites, such as Topcashback and Quidco have become increasingly popular in recent years, as product prices continue to rise and living wages stagnate. The more bang you can get for your buck is always much appreciated in any household, and with the right approach towards cashback websites you too could soon be making money that can be saved for a rainy day, just by purchasing the same items and goods you normally do. It is a really easy way for you to make some money, and with this guide you’ll have a basic concept of what to expect when signing up to a cashback website and how it can help you make the most of your budget in tight economic times. Let’s try to put this in simple terms. A cashback website works as a third-party website that refers customers to various retail websites and financial services. With the links that the cashback websites have with various organisations, you can purchase items, goods and services through a cashback website and claim back some cash on your purchase. How does this work? It’s easy. All you have to do is visit the cashback website you are signed up, search for the retailer you are looking for, click the link direct from the cashback website and claim money back on your purchases. In some cases the cashback claimed is merely a few pennies at a time, in other cases it can be as much as hundreds of pounds when you have purchased a high-priced item or service. If you plan effectively, and you consistently use the cashback website you have signed up to, it can be effective in the long-term in helping you build up a solid amount of money from purchasing things you would have during the same period anyway. Most cashback website are free to sign up for, and once you have clicked the link and made your purchase at the retailers site, your transaction will be tracked. Once fully recorded on the cashback website it will be available for you to withdraw, sometimes in a few weeks, other times it can take months. Some accounts will require you to reach a certain amount of cash back before you are entitled to withdraw into your personal bank account. If you are serious about giving cashback websites a go in order to make some extra money to put towards savings, be confident that it is achievable, but always have a solid plan of action. Remember, that a cashback website should never be treated as an extra income. As we’ve previously stated, it could take weeks or months for some cashback money to appear in your account, and sometimes it might not appear at all due to various technical difficulties. Always think of it as a bonus for you to draw on from time to time, and whenever the money is available to withdraw, do so as quickly as possible. It is much safer to withdraw the money and save it in your own bank account or other savings account, than leave it sit in a cashback website. 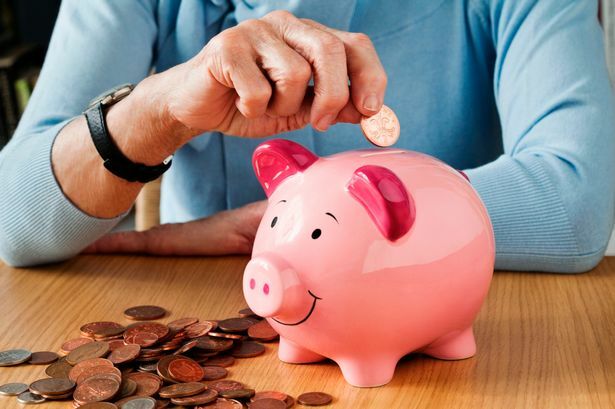 Money saving tips and extra cash such as cashback websites could help you go a long way to boost your savings and stretch your budget further, especially in times of greater financial difficulty where there is a necessity for the use of responsible credit arrangements and reputable payday loan lenders from time-to-time.